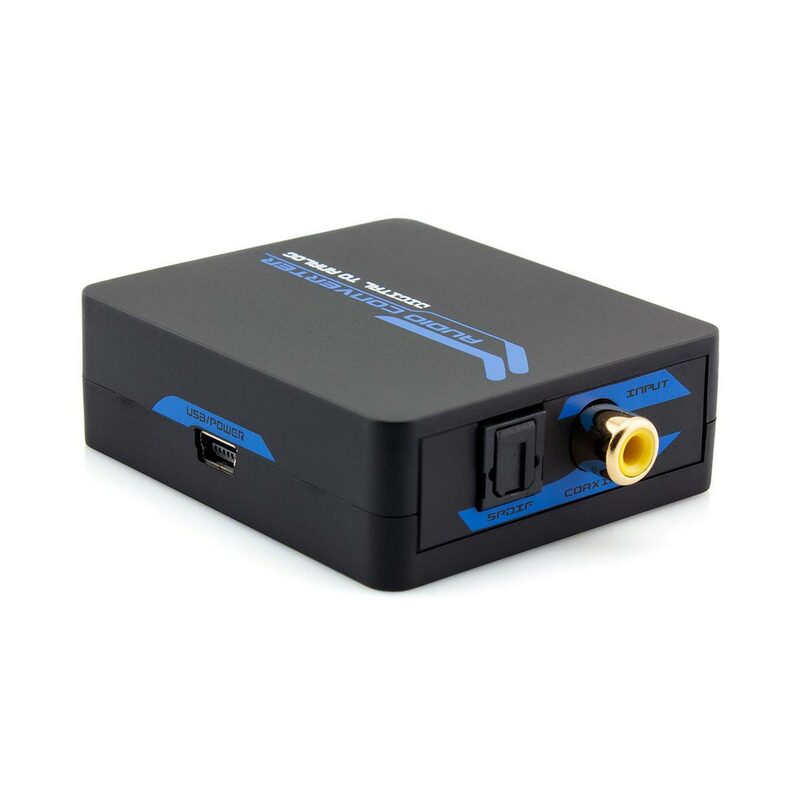 Convert a Digital Audio Signal to Analogue with Ease! 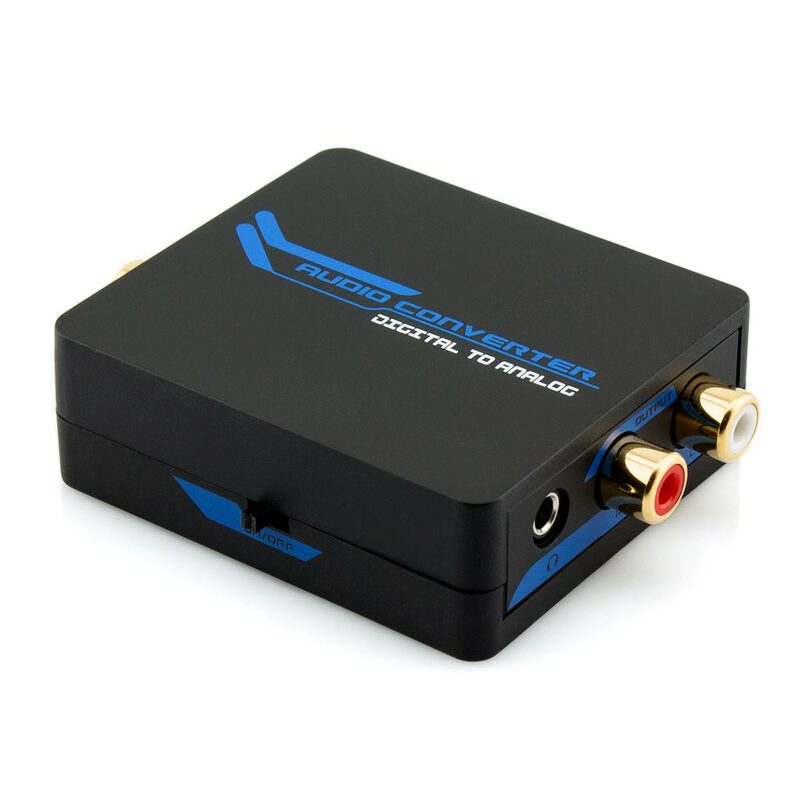 This Digital to Analog Audio Converter will facilitate the connection of a source device that features a digital S/PDIF output (optical or digital coaxial) to an external amplifier or sound system via standard left and right RCA analogue audio inputs. 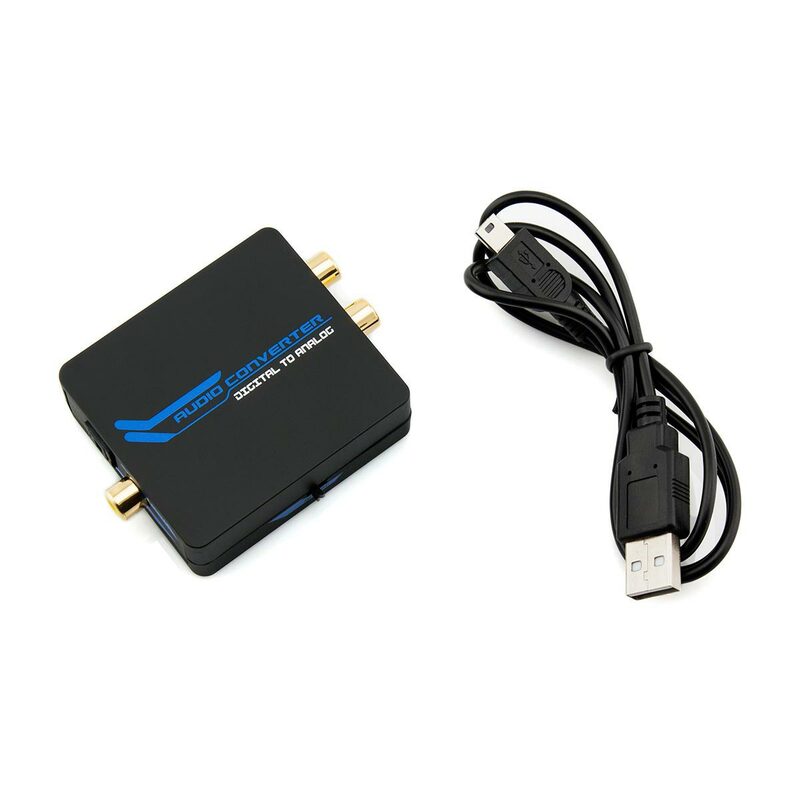 Alternatively, this converter can be connected to portable speakers or headphones via the 3.5mm stereo connection. 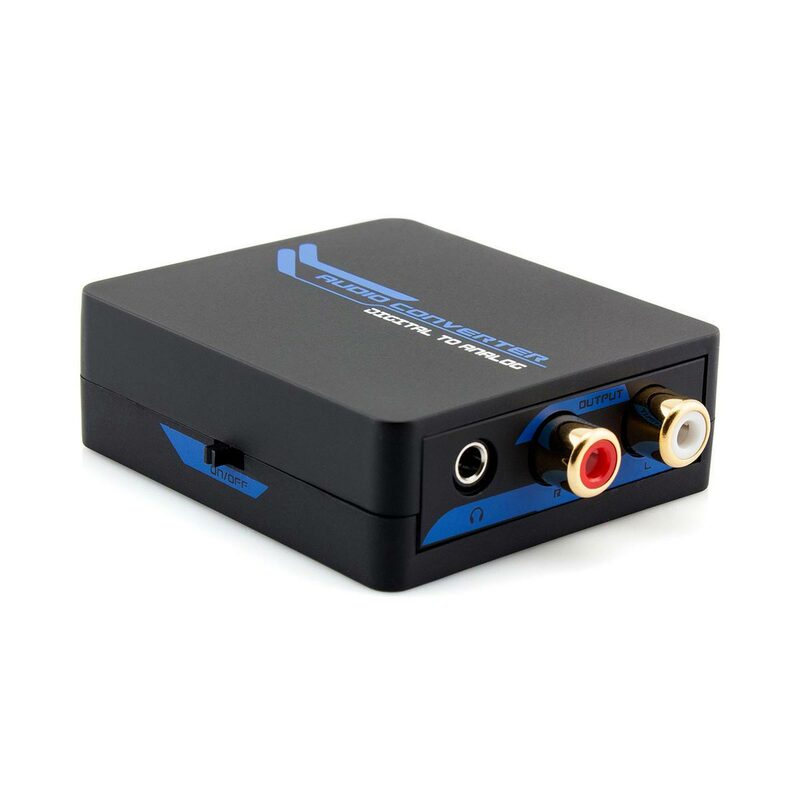 Simply connect an optical cable or a digital coaxial cable to the input, then connect either a stereo RCA cable or a 3.5mm stereo cable to the output, power on the unit and the audio will be seamlessly converted from digital to analogue. This magnificent piece of technology is intelligently designed to provide superior performance while retaining an incredibly small form factor. The unobtrusive design and overall light weight structure makes this converter the perfect portable companion for any audio system. This was exactly what I was after. When I bought my TV about 3 years ago, listening to it via headphones was not a requirement. Now it is, but it does not have a headphone socket. Plugging the converter in means I can now listen to the TV via the headphones whilst the TV speakers are either muted or the volume turned down. Love it. Thanks. This was awesome. It arrived very quickly and did exactly what I wanted. It connected my new TV with a coax port to my over 20 year old stereo. I am so happy with the service from Space Hi-Fi and with this product. I did not want to have to buy a new stereo. Very, very happy. I could find no other option for what I needed it for. My 2012 LG LM9600 does not have any option to plug in headphones nor RCA. It is digital only! Nobody I asked had any idea how to overcome this problem. I can now plug in my wireless headphones and not disturb my wife when it's late at night. Thank you! This was exactly the item I needed to solve a problem in connecting headphones to a new Aldi TV. While the TV has got a headphone connection the speakers turn off when the headphone connection is used. I wanted both working, with the ability to change the volume level on either, independent of the other. The TV does have AV connections but these were used up in connecting Foxtel so this device was a godsend.